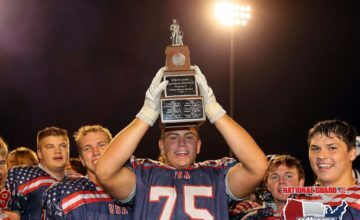 BOZEMAN — Jeff Choate realized the breakthrough his team experienced in their season-opener on Thursday night. That opponent is the stoutest, at least on paper, that Montana State will face this season. MSU plays at South Dakota State, the No. 3-ranked team in the FCS. The Jackrabbits have qualified for the FCS playoffs each of the last six seasons, advancing to the quarterfinals in 2016 and the semifinals last season. 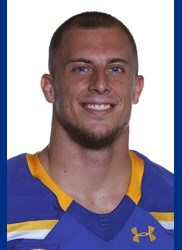 The Jackrabbits are searching for replacements for record-setting wide receiver Jake Wieneke, one of the final cuts for the Minnesota Vikings, and tight end Dallas Goedert, a second-round draft pick by the Philadelphia Eagles. SDSU returns a collection of veterans, including four-year starting senior quarterback Taryn Christion and All-American junior inside linebacker Christian Rozeboom. Saturday’s matchup in Brookings comes on the heels of Montana State posting a gritty win over a Missouri Valley Football Conference team that made the playoffs two of the last three seasons. It also comes after SDSU’s game at Iowa State was cancelled less than five minutes into the action because of the persistent thunderstorms that ravaged the Midwest, weather that also caused cancellations to Akron at Nebraska and William Jewell at Drake. The MSU-SDSU game is a second part of a home-and-home series between the two schools. The No. 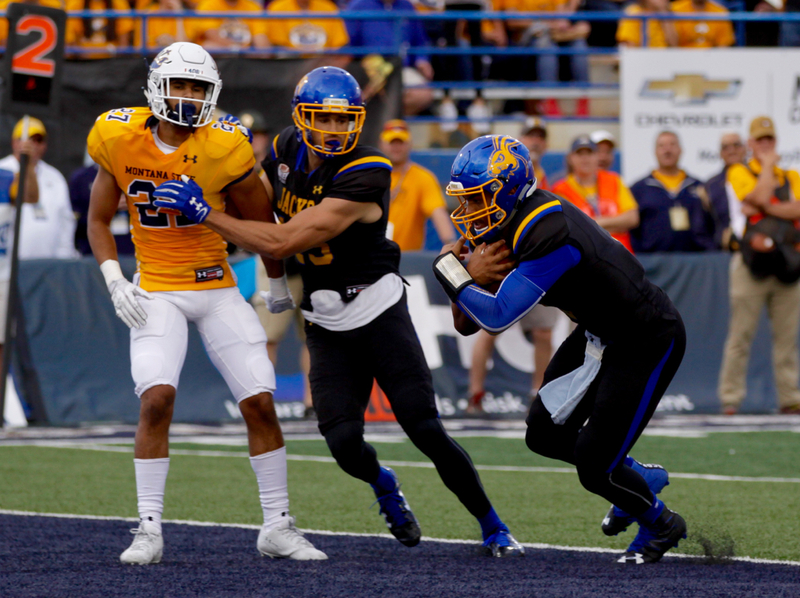 4 ranked Jackrabbits held on for a 31-27 victory at Bobcat Stadium last season thanks in part to a fake field goal for a touchdown by SDSU kicker Chase Vinatieri and a pair of missed field goals from MSU kicker Luke Daly. Montana State quarterback Chris Murray, who is sitting out this season to focus on academics, threw for 311 yards and four touchdowns while rushing for 107 more yards. Here’s a look at this year’s Jackrabbits. Founded: 1881. South Dakota State University is a public research university that serves as the state’s largest university and is the oldest continually-operating university in the South Dakota. A land grant, space grant, and sun grant university, founded under the provisions of the 1862 Morrill Act, SDSU offers programs of study required by, or harmonious to, this Act. The school puts a special focus on agriculture, engineering, nursing, and pharmacy, as well as liberal arts. Enrollment: The university has 12,613 students and an endowment of $113.3 million. Stadium: Dana J. Dykhouse Stadium – The new $65 million arena opened in 2016 to replace Coughlin-Alumni Stadium. The venue seats 19,340 and is named for Sioux Falls banker Dana Dykhouse. SDSU averaged 11,994 fans per each of its eight home games last season. The Coach: John Stiegelmeier, 22nd season. Including his three seasons as an assistant and seven more as SDSU’s defensive coordinator, Stiegelmeier has been at SDSU for more than three decades. He helped bring the Jackrabbits into the Division era as a member of the Great West Conference in 2004, then helped the transition to the Missouri Valley in 2008. Stiegelmeier has won just one outright conference title — the Great West in 2007 — but has helped the ‘Jacks finish in the top thee of the Missouri Valley eight of the last 10 years, including sharing the title with North Dakota State in 2016. SDSU has finished in the Top 20 of the FCS ranking for seven straight seasons, including No. 6 in 2016 and No. 3 last season. Stieglemeier is 147-97 in his long and steady career. 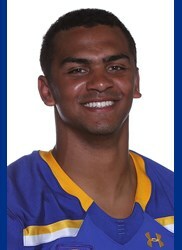 Taryn Christion, quarterback, 6-2, 225, senior — After breaking into the starting lineup as a true freshman in 2015, Christion has proceeded to rewrite the SDSU record books. He entered his senior year with 8,515 yards passing and 1,182 yards rushing, meaning he is less than 1,500 passing yards from becoming the 15th quarterback in college football history, all levels, to throw for more than 10,000 yards and rush for more than 1,000 yards in his career. Last season, Christion earned third-team All-American honors by notching either a rushing or passing touchdown in all 14 SDSU contests. His 266 total points accounted for ranked third in the FCS and his 35 touchdown passes were second. He completed 58 percent of his passes for 3,515 yards but threw 14 interceptions. He threw for 267 yards and scored two rushing touchdowns in the win over MSU. He enters his final season with a career record of 23-8. Isaac Wallace, running back, 6-1, 190, senior — The fast and physical Omaha, Nebraska product has waited his turn as a productive No. 2 to former starter Brady Mengarelli the last two seasons. 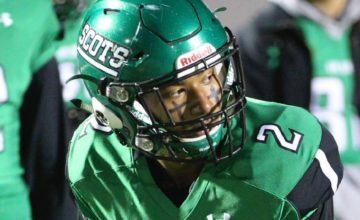 Last season, Wallace rushed for 516 yards on 101 carries, scoring five touchdowns. He rushed for 25 yards on four carries against MSU. As a sophomore, he averaged 6.3 yards per carry and totaled a career-high 519 yards, including 112 yards on only 12 carries against TCU. He has rushed for 1,233 yards and 12 touchdowns in his career. 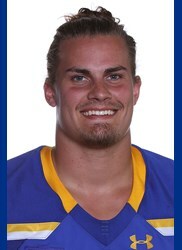 Christian Rozeboom, junior, 6-2, 230, junior — Rozeboom has been one of if not the best inside linebackers in the Missouri Valley since the day he stepped on campus, making him one of the best inside linebackers in the FCS by default. 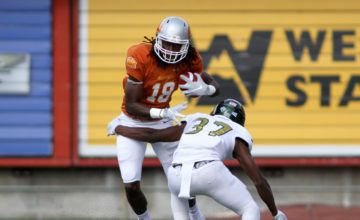 He finished as the runner-up for the Jerry Rice Award (national FCS Freshman of the Year) after a debut season that saw him rack up 132 tackles. He earned MVFC Freshman of the Year honors by tallying 10 or more tackles in seven different games, including a career-high 20 tackles against Southern Illinois. Last season, the Sioux Center, Iowa native was just as good. During a second straight first-team All-Missouri Valley campaign, Rozeboom totaled 127 tackles, including 7.5 tackles for loss and 67 solo stops. 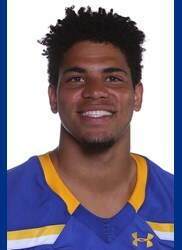 He piled up double-digit tackles in seven of SDSU’s 14 games, including a 10-tackle performance against the Bobcats. He also blocked an extra point in that win over MSU. The second-team All-American season high was 18 tackles in a win over Missouri State. Jordan Brown, cornerback, 6-1, 200, senior — The three-year starter has seen his production steadily increase, culminating in last season’s first-team All-MVFC nod. 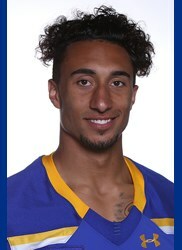 The tough, physical cornerback led South Dakota State with nine pass breakups and three interceptions, giving him five picks in his career. He also had three tackles for loss and forced three fumbles despite not playing in SDSU’s last matchup against the Bobcats. Brandon Snyder, safety, 6-1, 190, senior — The Iowa transfer gives SDSU another face in the defensive secondary unfamiliar to Montana State. The former walk-on rose to a starting role during the 2016 season for the Hawkeyes. The Larchwood, Iowa native led the team with three interceptions and three forced fumbles while registering 85 tackles, including 53 solo stops. He returned an interception 89 yards for a touchdown against Illinois to begin the 2017 season before injuries ravaged his Big Ten career. He twice tore his left ACL, costing him his standing on the depth chart. Last December, he was arrested for operating while intoxicated, registering a blood alcohol level of .163, more than twice the legal limit. Still, the physical, fast safety entered the season as the co-No. 1 on the Iowa depth chart alongside Jake Gervase at free safety. He announced his intent to graduate transfer to SDSU on July 31 and became eligible immediately. Photos courtesy of SDSU and by Brooks Nuanez. All Rights Reserved.